Early in my first term as Sheriff, my command staff and I were confronted with a management situation that put the Dynamic of Discipline to the test. There were two employees who were engaged in an improper action that clearly demanded some type of discipline. They were both essentially guilty of the same offense, but we noted that the character of the two individuals was clearly different. By applying the Rule of Discipline, we were able to come up with two entirely distinct disciplinary actions which ultimately resulted in the full restoration of both employees. First, we determined what range of disciplinary options were available to us based on the nature of the offense. In this case, we had the full range of options available from counselling to termination. Secondly, we looked at the character of the individuals. I actually passed out a printed copy of the Path of Destruction dynagram from the Dynamic of Restoration which depicts the steps in the downward progression of a Renegade. I asked the staff to tell me where each employee fit on the dynagram. 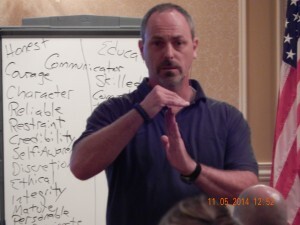 The Dynamic Leadership Rule of Discipline fits very well within a progressive discipline model. Discerning where the offender is on the downward Path of Destruction described in the Dynamic of Restoration is the key factor in determining their character. 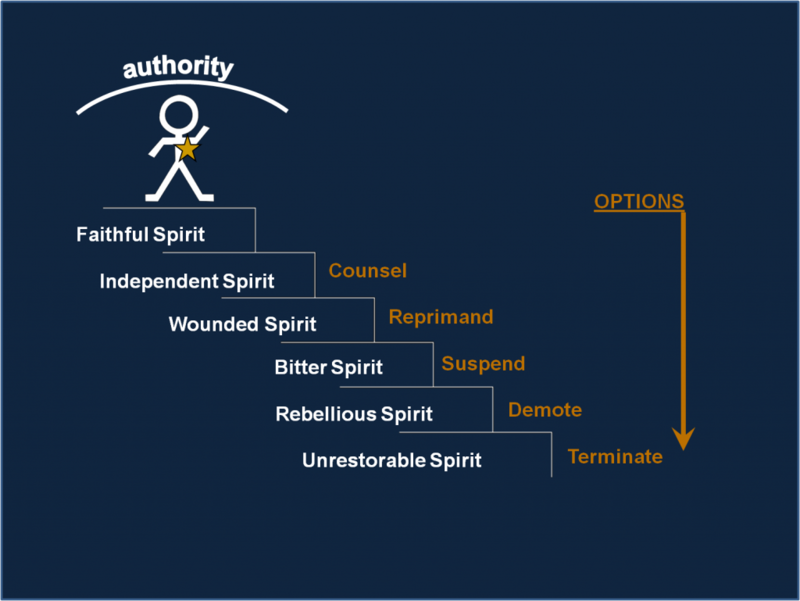 There are five steps in the Path of Destruction: Independent Spirit, Wounded Spirit, Bitter Spirit, Rebellious Spirit, and Unrestorable Spirit. Interestingly, these five steps fit very nicely into a progressive discipline model that includes Counselling, Reprimand, Suspension, Demotion, and Termination. There are specific steps in the downward Path of Destruction that a person will typically experience once he steps out from under authority. To gain a full understanding of the Rule of Discipline and the reasons behind ethical failures, it is essential to understand this process. The Dynamic of Discipline series introduces a two-part character-based Rule of Discipline that serves as a guide for administering a progressive disciplinary model within an organization. Discipline is TRAINING that molds, corrects, strengthens, and perfects moral CHARACTER. In it’s purest sense, discipline is character training! In fact, the word disciple comes from that same root.